Are you one of those people that don’t like wasting anything? We have good news. With these ideas, you will be able to utilize even the seed of an avocado. So next time you make guacamole, avocado tostada, or any of these delicious dishes made with Avocados From Mexico, save the pit. Please note that before starting any new beauty routine, it’s always a good idea to consult your dermatologist. First and foremost, after you wash the avocado pit, there are many various methods to dry and grind the seed. You can leave it out in the sun for 10 days. Oce it is dry, you can grate it with a hand grater. You can also remove the outer skin and toast the seed in the oven over medium heat. When it turns dark maroon color, cut it in four parts and grind in a coffee grinder. The last method involves skinning the outer part, grating the seed, and then drying in a pan over low heat to avoid burning. Choose which method is most convenient. 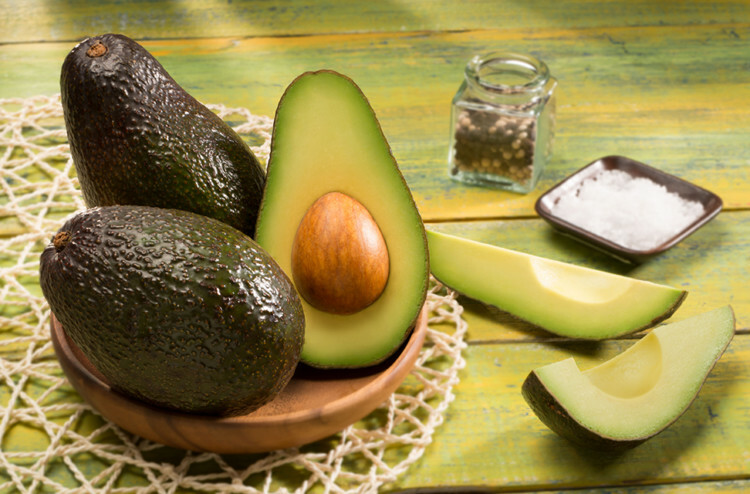 The ground avocado seed can be used as a scrub for the face and body. Simply add it to your moisturizer. Or, if you prefer a more natural product, you can mix 1 tablespoon of Vaseline and 1 tablespoon of olive oil with a ground seed and apply it in circular motions. Let is sit for 10 minutes and rinse with warm water. Don’t have time or equipment to grind the pit? You can use clean avocado seeds to enhance your massage. Smear moisturizing lotion on the desired body part. With the palm of your hand, rub the seed against the skin in circular motions applying some pressure. However you decide to use the pit, the possibilities are just about endless.